The Boston Public Computing Centers project, a partnership between the City of Boston’s Management and Information Services Department, Boston Public Library, Boston Centers for Youth and Family, and the Boston Housing Authority, proposes to expand computer and Internet capacity at the city’s main library and 25 branches, 16 community centers, and 11 public housing sites. A majority of project sites are expected to be in the city’s lowest income areas, and plan to offer before- and after-school, job readiness, enrichment, workforce development, and alternative education programs. The project intends to provide computer access and training for students, seniors, limited-English speaking residents, and people with disabilities with 379 workstations and laptops. An estimated 18,700 people will be served per week at the 53 public computer centers. Visitors to the Mildred Avenue Community Center in Mattapan, Mass., used to navigate the Internet “with the technological equivalent of a horse and buggy mired on a muddy road,” according to the Boston Globe. 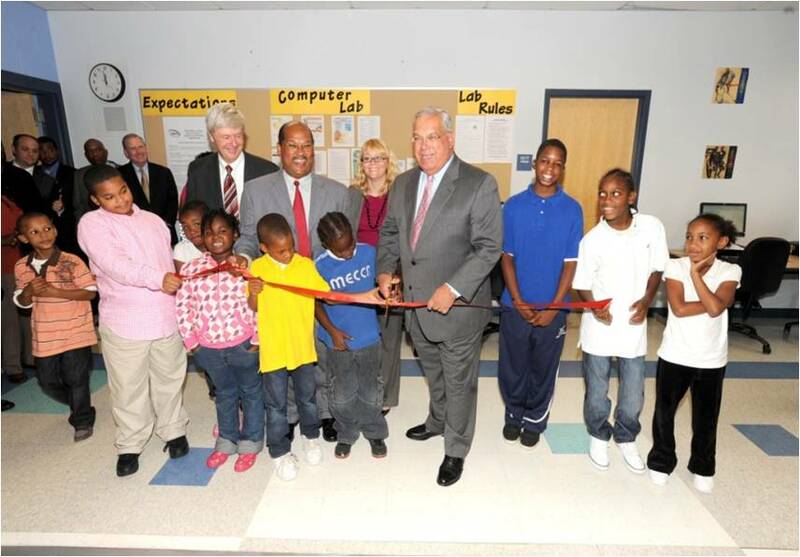 On August 24, 2010, the Community Center became the first location to benefit from the $1.9 million BTOP grant to the City of Boston. Now, computer users link to the city’s new broadband fiber-optic network with 15 new desktops. Before the project is completed, the city will provide 627 new computers and job training software at 48 locations including 15 community centers, 11 Boston Housing Authority (BHA) sites, and 22 libraries in many of the city’s lowest-income and lowest broadband adoption areas. At the Mildred Avenue Community Center, the new state-of-the-art desktops feature cutting edge software allowing participants to gain basic work skills online, study for the state’s standards-based assessment program, and access multimedia to produce videos and other art. BHA centers will feature similar software as well as programs geared toward health education. Computers at local library branches will provide literacy training and email access. To see local news coverage, please visit here.